The new concept, which MBFW successfully introduced in July 2018 will be continued this edition. At ewerk Berlin, Wilhelmstraße in Mitte, emerging designers and established fashion brands will present their creations and collections from 3rd until 5th of July. Together with the Berlin-based creative agency NOWADAYS, MBFW has staged the platform very artistically for the designers. The theme of this MBFW is “Follow MBFW – Liberate Fashion”. The schedule is nicely filled with outstanding talents. The programme kicks off on Monday, 2nd of July with the show by Guido Maria Kretschmer, a well-known designer, who will present his spring/summer-2019 collection. High-End Labels and established, excellent fashion brands will shown to be experienced, on the following days. On tuesday, Botter, Maisonnoée Berlin, Lena Hoschek and Irene Luft will present their Spring/Summer-2019 collection. Additionally, the fashion how “Greenshowroom Selected” will take place for the first time as part of MBFW. A selection of the collections and styles by the designers exhibiting at Greenshowroom and Ethical Fashion Show Berlin will be presented. As another highlight, the show will be live streamed at Kraftwerk Berlin. On Wednesday, shows by Sportalm Kützbühel, Rebekka Ruétz, Maison Common, Riani and the upcoming-talent Danny Reinke, who won one of the MBFW show slots, funded by Projekt Zukunft. The Thursday is the third main day of the Berlin Fashion Week and presents Marina Hoermanseder, Ivanman, who is seen as another emerging talent in the menswear field, Lana Müller and Isabel Vollrath, who will present her new styles. The big final, the Rebelpin Fashion Awards by ACTE is taking place on Thursday night. 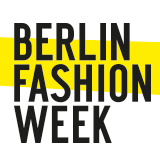 For the eights time already, another highlight will take place as part of the Berlin Fashion Week. Designer from the German-speaking area will present their latest collections during Defilees, events and a group exhibition. This edition of the Berliner Salon starts with an event in cooperation with the Walt Disney Company. On 5th of July, from 9.30am-11.30am, the 90th anniversary of Mickey Mouse will be celebrated – four german labels (Odeeh, Rianna + Nina, Strenesse und William Fan) created exclusive collections to honor the mouse. Not only the pieces of names designers, but also well-known runway pieces by international fashion houses, e. g. Jimmy Choo, from the archives of Disney will be presented. The Disney morning will be followed by the known “Zeitmagazin & Vogue” conference with the theme “Change Fashion”. Already in the past years, important topics, such as the essence of fashion, were discussed by the podium speakers. This year, the audience can expect another important discussion and interesting keynotes for the 7th time as part of Berliner Salon. Model Toni Garrn, Benjamin Alexander Huseby, and the designer Wales Bonner will be on stage. The last two days of Der Berliner Salon will be defined by presentations and defilees. Various fashion labels, such as Dawid Tomaszewski, Odeeh, and William Fan will present their spring/summer-2019 collections. Last but not least, the biggest event as part of Berliner Salon will be the group exhibition. For the opening of such, major and Senator for Economy Ramona Pop will be present. That and the expansion of the exhibition by artistic-designed creations by product designers show, how the format stands up for a new, public awareness of demanding, German design. Altogether, 42 designers, photographers and artists from German-speaking countries will present their latest works to the audience, from 12pm-5pm, on 6th of July. What can we expect from the Berlin Fashion Week in July 2018? We have summarised the highlights of the shows and presentations.